Sources tell CBS News "The Nigerian" has now turned out to be Umar Farouk Abdulmutallab. But that connection was not made when Abudulmutallab's father went to the U.S. Embassy in Nigeria three months later, on November 19, 2009. It was then he expressed deep concerns to a CIA officer about his son's ties to extremists in Yemen, a hotbed of al Qaeda activity. In fact, CBS News has learned this information was not connected until after the attempted Christmas Day bombing. "We must get better at collecting these bits of information, putting them together at a central point, analyzing them and then acting," said Lee Hamilton, the vice-chair of the 9/11 Commission. Also Tuesday, the Foreign Minister of Yemen told the Times of London that there may scores of trained young militants ready to follow in the footsteps of Abudulmutallab, the minister saying, "They may actually plan attacks like the one we just had in Detroit. There may be hundreds of them - 200 to 300." 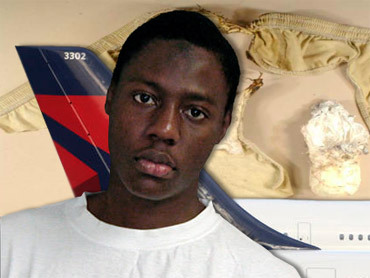 A Yemini-based Al Qaeda group has claimed responsibility for the attack, praising Abudulmutallab's attempt to blow up Flight 253 with about 3 ounces of the powerful explosive PETN stashed inside a pair of specially-made underwear, reports CBS News chief investigative correspondent Armen Keteyian. For many the global security breach represents the kind of system failure detailed in the 9/11 Commission Report. "We're sharing information better than we did prior to 9/11, but this incident surely illustrates we've got a long ways to go," Hamilton said. In a statement, the CIA did not dispute CBS News' report. "We learned of him in November, when his father came to the U.S. embassy in Nigeria and sought help in finding him. We did not have his name before then," said Paul Gimigliano, a CIA spokesman. "Also in November, we worked with the embassy to ensure he was in the government's terrorist database - including mention of his possible extremist connections in Yemen. We also forwarded key biographical information about him to the National Counterterrorism Center. This agency, like others in our government, is reviewing all data to which it had access - not just what we ourselves may have collected - to determine if more could have been done to stop Abdulmutallab." Obama: Plane Bomb Plot a "Serious Reminder"